An incident that almost claimed the lives of passengers on board a Real Tonga Airline flight at Ha'apai airport was told that pilot and assistant pilot had differences in interpretation of the aircraft airspeed indicator last Monday. The Hon. Minister of Infrastructure and Tourism ‘Etuate Lavulavu reported the latest report from the airline in Parliament on Thursday. He said the airspeed indicator instrument in front of the pilot indicated it’s time for the plane to take off yet the co-pilot’s same instrument indicated otherwise. Their differences caused the plane to swerve to the side before it came to an abrupt halt and almost hit the fence at the airport. The airspeed indicator is an instrument used to display the craft's airspeed in order to maintain airspeed specific to the aircraft type and operating conditions. It was reported in Parliament after much concern raised by Ha’apai 13 MP Veivosa Taka that the incident almost claimed the lives of passengers on board the Real Tonga Airline’s flight last week. Taka claimed one of the passengers on board that flight Dr. Mohenoa Puloka said it was a terrifying moment to see the plane landed only 20 feet away of Koulo’s cliff. Lavulavu informed Parliament on Thursday that investigation is underway to ensure it’s not happening again. He said that Cabinet has also requested assistance from Pacific Aviation Safety Office (PASO) in probing further into the matter. He also denied Taka’s curiosity the pilots were intoxicated for mishandling errors of the airspeed indicator reading. Earlier, when the incident was raised in Parliament, it prompted an uproar from Vava’u number 2 Noble Representative Lord Tu’ilakepa who called for immediate suspension of all Real Tonga Airlines' flights. He claimed it was a serious matter that Government must act promptly to avoid further aviation accident from happening. Tu’ilakepa said Government should use their conscience in dealing with the issue. He also gave reference to an incident where an Israel’s plane urgently requested landing rights in Tonga yet it was a Sunday. Tu’ilakepa said God gifted man with sound mind to make the right decision and that was exactly what the previous Government did. “Government at the time put aside the laws and use their conscience and sound mind to do what was right back then,” explained Lord Tu’ilakepa. ‘Eua Noble Representative Lord Nuku was also concerned with confirmation the same aircraft that almost had an accident in Ha’apai is still flying. In response Government said it has no authority to immediately suspend flights of Real Tonga Airlines since there are due process it must adhere to before making and decision. First a report must be submitted from the airline and further investigation will be carried out before the Government makes the final decision. Cabinet was also concerned with whoever responsible for issuing the direction for the aircraft to fly, especially it was a really bad weather last Monday (August 24). Lavulavu said the Government was taking the matter seriously for the safety of people and also because it is an ongoing problem. “One incident involved a Real Tonga’s flight crashed landing at ‘Eua airport and punctured one of its tire. Another incident involved a brake failure of Real Tonga’s 12-Harbin Y12 aircraft that caused the aircraft to veer on the runway. And the latest report from Ha’apai is a concern,” said Lavulavu. He added the reported incident at Ha’apai also questioned the potential management of local domestic operator to provide continuous air service domestically. Lavulavu said that’s always Government’s initiative when seeking assistance from overseas to ensure reliable and people safety air services. Vava’u Number 2 Noble Representative Lord Tu’ilakepa also argued it is the Government’s responsibility to check the airworthiness of Real Tonga’s aircraft, check the actions of pilots and suspend all its flights. He also asserted MPs that the Government should use their conscience in dealing with the matter and not wait for death to come and then further action. Vava’u 15 constituency MP, Samiu Vaipulu moved the Government’s decision and called on Cabinet to get an independent audit check of the aircraft for air safety procedures. Meanwhile Ha’apai 13 MP said Dr. Puloka maintained their safety is not because of the pilot’s expertise but it’s God’s love. “He hears our cries and prayers during our ordeal,” explained Dr. Puloka. Puloka called for immediate Government action in addressing the problem to avoid further mishap from happening. When Real Tonga Airlines was issued with the required certification to operate domestically in Tonga they pledged a reliability and people safety as their top priority. After a protracted negotiation process, Lynchburg City Council is set to consider and potentially authorize a long-term lease agreement with Aviation Resources Inc., a fixed-base operator at Lynchburg Regional Airport. Fixed-base operators provide fueling and other aeronautic services. Those services at Lynchburg Regional Airport previously were provided by two FBOs, Freedom Aviation and Virginia Aviation. In 2014, Freedom Aviation LLC purchased Virginia Aviation. Virginia Aviation’s agreement with the city did not allow the lease to be sold or transferred to another party, and a provision stated the lease would be terminated if Virginia Aviation was sold. The Lynchburg Regional Airport Commission recommended the city operate its own limited FBO, but City Council voted in February to allow the negotiation for a long-term lease with Freedom Aviation. All three entities are related; Aviation Resources is doing business as Virginia Aviation, and Virginia Aviation is owned by Freedom Aviation, Airport Director Mark Courtney explained in an interview. Freedom Aviation is a subsidiary of Liberty University. The final draft lease agreement to be presented to City Council on Tuesday will be for a term of three years with the option to renew for terms of five years. Aviation Resources will pay the city nearly $17,000 a month to rent facilities at the airport, but the agreement states rent may be lowered if Aviation Resources’ financial statements show no net profit. Rent may not be lowered below $11,361 per month, the draft lease agreement states. Aviation Resources may not be able to “assign, sell or transfer,” the lease without the city’s approval, although there is the possibility of subleases under specified conditions. At the Tuesday meeting, City Council also will consider an amendment to a franchise agreement with Freedom Aviation LLC, which formerly went by the name Falwell Aviation Inc., that would remove a restriction prohibiting the company from performing fueling of commercial and military aircraft. City Council will meet Tuesday at 7:30 p.m. in City Hall. Aer Lingus chairman Colm Barrington’s Fly Leasing recently supplied a Boeing aircraft to Norwegian Air, the Scandinavian operator that is attempting to set up a budget long-haul airline in the Republic. Mr Barrington is chief executive of Dún Laoghaire-based Fly Leasing, one of a number of Irish companies that finance and supply aircraft to airlines around the world. Documents recently filed with the Companies Registration Office (CRO) by Norwegian Air International, an Irish-registered subsidiary of Norwegian Air Shuttle, show Fly leased a Boeing 737-800 to the company earlier this year. The deal with Fly is one of a number agreed by Norwegian Air International with suppliers this year, all of them for Boeing 737-800s, a short- to medium-range craft used by a large number of carriers, including Ryanair. The Scandinavian airline is leasing the craft. The lessors use the aircraft as security for the rent, which is why the agreement is registered with the CRO. Most airlines lease some or all of their craft. Leasing companies buy the aircraft using a combination of their own and borrowed cash and rent them to the carriers. Alternatively they buy the craft from the airlines and lease them back. The Republic is a recognised hub for aircraft leasing, with most of the big players based here. The Boeing 737-800 has a list price of €70 million but manufacturers generally give buyers discounts, particularly if they are buying large numbers or if they have an existing relationship. Mr Barrington said this month Fly is on track to spend $750 million (€672 million) on new aircraft this year. His company recently sold a large number of mid-aged craft and is gearing up to replace these. It also completed a sale-and- leaseback deal for a 737-800 with an unnamed airline. Norwegian Air International plans to establish a low-cost, long-haul business from the Republic that will offer flights between Europe and the United States and Far East for as little as €315 return. The Irish Aviation Authority and Commission for Aviation last year granted the company the licences it needs to operate an airline from the State. However, its plans have met opposition in the US. Its parent group’s chief executive, Bjorn Kjos, said last year Norwegian Air Shuttle intended to do much of its financing and leasing from the Republic. At that point, Irish entities owned half its 90 aircraft. Accounts lodged by Norwegian Air International – the Irish-registered company – show it turned over $100 million in 2014, $49 million coming from supplying craft and crew to operate its parent’s Scandinavia-Bangkok routes, $40 million from ticket sale and the balance came from “other revenues”. The figures show it lost almost $100 million. Much of this was down to an $88 million write-off stemming from its purchase of the business run by a subsidiary, Norwegian Assets Ltd, which was subsequently liquidated. COLUMBIA - Officials shared new statistics Saturday showing passenger numbers on the rise at Columbia Regional Airport (COU). Greg Cecil with the airport advisory board said the number of passengers getting on a flight at COU is up 20 percent from 2014, while the number of people getting off a flight at the airport is up 22 percent. Cecil said the increase is largely due to a larger plane being used on the flight from Columbia to Chicago. "There's huge demand here," Cecil said. The larger aircraft, the CRJ-700, seats roughly 15 more passengers than the smaller ERJ-145, which was previously used on the route. The CRJ was also used to fly to Dallas, but the regional carrier that operates flights out of COU for American Airlines, quickly brought back the smaller jet, Cecil said. "Airlines are constantly changing how they do business," he said. "Also, there could be a shift from time to time in the regional airline that is the code share partner for American Airlines." American, like most major U.S. airlines, subcontracts its shorter-haul regional flights to smaller regional carriers, which operate smaller jets on behalf of American. The change back to the 50-passenger ERJ was partly due to a lack of service facilities for the larger plane in Dallas. "It's my understanding that there was not a service hanger for the -700s in Dallas and so there were for the 50 passengers that they're using now" Cecil said. "A lot of those things we have no control over because the airlines are shifting aircraft around to where it makes more sense for them to make a profit." While the numbers discussed Saturday were a good sign of growth, Cecil said any further expansion of the airport is a slow process. "Right now we're bursting at the seams on our terminal, and so while, you know, we'd love to have a plane that would accommodate 150 people, if we had two planes that were capable of doing that and we could fill them, we'd have some real issues in the current terminal" He said. Cecil said he hopes the airport can continue moving forward with expansion plans, and said a flight to Charlotte has been the topic of heavy conversation. "It's in our demand analysis that that would make sense to go there. But a lot of it's just a matter of time and us being able to accommodate," He said. Cecil said crews could have a plan for a new or renovated terminal within the year. On September 5, 2015, about 1408 mountain daylight time, a Cessna 310H, N1099Q, impacted mountainous terrain at an elevation of about 11,500 feet mean sea level near Silverton, Colorado, based upon preliminary radar information consistent with the flight. Two non-instrument, single-engine land rated private pilots and two passengers were fatally injured. The airplane was destroyed by impact forces. The airplane was registered to and operated by the registered pilot under 14 Code of Federal Regulations Part 91 as a personal flight that was not operating on a flight plan and was not utilizing flight following services by air traffic control. Instrument meteorological conditions prevailed at the time of the accident. The flight last departed from Flagstaff Pulliam Airport, Flagstaff, Arizona. and was destined to Amarillo, Texas. 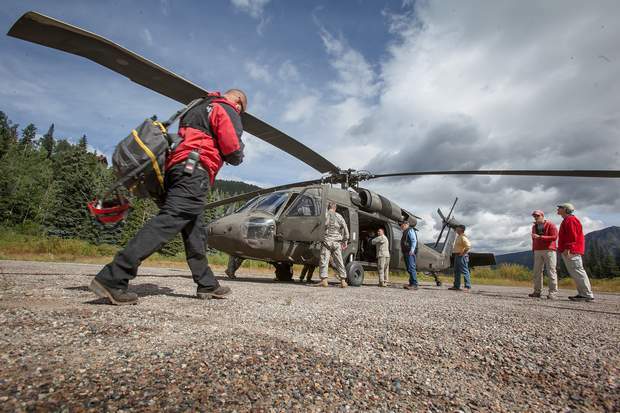 Members of the San Juan County and La Plata County search and rescue teams at the scene of the plane crash on Monday, Sept. 7. The Colorado Air National Guard helicopter that airlifted them to the remote location is in the background. The plane that crashed in San Juan County on Saturday, Sept. 5, encountered “instrument meteorological conditions” over western Colorado, but neither of the two pilots aboard was qualified to fly in such bad weather. That’s one of the conclusions in a preliminary report released Thursday, Sept. 17, by the National Traffic Safety Board, which is investigating the plane crash that killed four California residents. 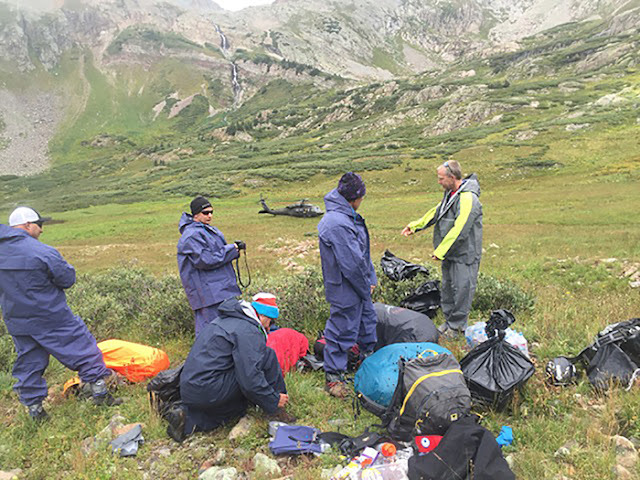 The wreckage was located the following day near the head of Cascade Creek at Grizzly Peak, about nine miles west of Silverton. The preliminary NTSB report also points out that the two pilots aboard were not rated to fly a twin-engine plane and were not operating on a flight plan. Additionally, the pilot was not utilizing ”flight-following services by air traffic control,” the NTSB reported. San Juan County Sheriff Bruce Conrad identified the victims as pilot Harold Joseph Raggio, 72, of Big Bear, Calif., Steven Dale Wilkinson, 59, of Newberry Springs, Calif., Rosalinda Leslie, 57, of Hesperia, Calif., and Michael Lyle Riley, 59, of Barstow, Calif. The location where Harold Raggio keeps his Cessna 310H was vacant Tuesday morning. Raggio's Cessna 310H crashed Sunday in the San Juan Mountains in Colorado. DAGGETT — Newberry resident Reany Raggio said she will forever remember the last time she flew with her father. Harold Raggio took his daughter up in his Cessina 310H last month during an airshow at Big Bear Airport. On Sunday, Reany Raggio received a phone call from Colorado authorities that her father died in a crash in the San Juan Mountains near Telluride, Colorado. Reany Raggio said Tuesday that three others died in the crash. Harold Raggio's son-in-law, Steve Wilkinson, a friend, Mike Riley, and Riley's girlfriend, Rosalinda Leslie were the passengers in the plane. "We knew something was wrong Saturday night," Reany Raggio said. "We did find out Sunday. The flight rescue notified us." Raggio was piloting the Cessna 310 that took off from Barstow-Daggett Airport at about 7 a.m. Saturday, according to Alan Hamm, operator of Daggett Aviation. Harold Raggio, according to the Associated Press, was heading for Amarillo, Texas. Raggio took off from Big Bear and flew into Barstow-Daggett Airport to pick up his passengers. According to his flight plan, Harold Raggio also stopped in Flagstaff, Arizona to refuel. Harold Raggio moved to Big Bear recently, but was well known in Newberry Springs. "He lived for flying," Newberry resident Paula Deel said Tuesday. She said it was common for Harold Raggio to give friends and Newberry Springs residents rides in his plane. She recalls Raggio landing his Cessna 310 on Route 66 for the the community's Fourth of July celebration. "He was a great guy," Paul Deel said. "Anybody that wanted to fly, he would take them up and show them a good time." Paul Deel said he took his grandchildren flying. Reany Raggio said that was not unusual for her father. "He would take anybody up," she said. "Underprivileged kids too. He did a lot of that. The plane was his life to him. He loved to fly." She said she grew up in air shows with her father, who just turned 71 last month. The retired Marine pilot leaves behind his wife, Rose, three children, 10 grandchildren and two great-grandchildren. He would have celebrated his 50th wedding anniversary in January. Tanya Raggio and Harold Dewayne Raggio are the other children. Harold Raggio survived being shot down in a helicopter in Vietnam, his daughter said. According to the San Juan County Sheriff's Department, a ground crew reached the site near Silverton, Colorado at an elevation of about 11,600 feet, Sunday night and confirmed a crash. The Civil Air Patrol had been searching for a Texas-bound small plane that went missing Sunday afternoon. The identities of four people who died in a plane crash Sunday north of Purgatory Resort were released Tuesday, two of which were pilots not rated to fly the type of aircraft they were operating. Initial reports indicated five people died in the crash. The San Juan County Sheriff’s Office listed those who perished as pilot Harold Joseph Raggio of Newberry Springs, California; Steven Dale Wilkinson, also of Newberry Springs; Rosalinda Leslie of Hesperia, California; and Michael Lyle Riley of Barstow, California, who also happens to be a pilot. The plane crashed around 2 p.m. Sunday, and was found at 11,500-feet in the upper limits of the Cascade Creek on the east side of the canyon, inaccessible from road or trails. A sheriff’s office post to Facebook said four rescuers were flown in by helicopter to look for signs of life. The next morning, additional emergency crews arrived on scene, knowing none of the passengers had survived. “Through great effort, the rescuers were able to confirm the identities, and bring home the remains of all four victims,” the Facebook post says. Peter Knudson, spokesman for the National Transportation Safety Board, said the two pilots on board were rated to fly single-engine aircraft – not the multi-engine plane they were flying, a Cessna 310H. Multi-engine aircraft are more complex to operate, and can be more difficult to handle in cases of emergencies, Knudson said. The plan is to bring down the remaining wreckage on Thursday to an accessible location for a federal investigator to detail. Knudson said the debris field reached 300 yards in length. A preliminary report will be available within two weeks, but a final report could take up to a year. Officials confirmed the aircraft left Barstow on Sunday morning en route to San Antonio – not Amarillo as previously reported. The plane was last seen refueling in Flagstaff, Arizona. Knudson said the pilots were not on a flight plan or communicating with flight traffic control. Instead, he said the pilots were navigating with reference to looking outside as opposed to following a path. A variety of factors – including weather, proper training, and equipment failure – will be taken into account during the investigation. In addition to the sheriff’s office, Civil Air Patrol, the Air National Guard and La Plata County Search and Rescue all took part in the emergency response. The NTSB and FAA are now handling the investigation. In 2013, Raggio and Riley were included on the FAA’s Airmen Certification Database, a list of pilots who have “met or exceeded the high educational, licensing and medical standards,” set by the federal agency. It was not immediately known whether they had any training for multi-engine aircraft, and had not reached a “rated” status. Five people died in a Cessna 310H that was found crashed in mountainous terrain in remote San Juan County, the National Transportation Safety Board confirmed. The plane is thought to have gone down at about 4:15 p.m. Sunday, NTSB spokesman Peter Knudson said. A Cessna 310H was reported overdue by a family member, the Federal Aviation Administration said. That plane was headed from Barstow, Calif., for Amarillo, Texas, via Tucumcari, N.M., and was last seen departing Flagstaff, Ariz. Neither agency could confirm whether the missing Cessna 310H is the same one whose wreckage was found. The nearest town to the crash site is Telluride, San Miguel County. "There are still a lot of unanswered questions," Knudson said. "Early on, there's a lot we don't know." 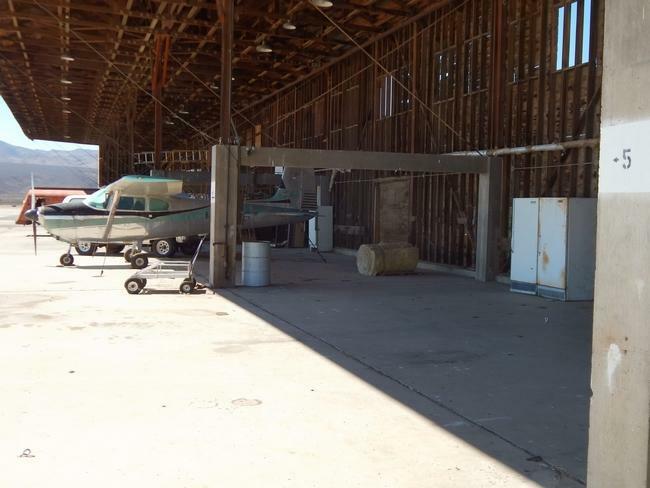 The N-Number for the craft missing from Barstow shows a Cessna 310H registered to a Harold Raggio of Newberry Springs, Calif. Daggett Aviation, a fixed-base operator for the Barstow-Daggett airport, said Raggio had a hangar there, as well as in Big Bear, Calif., about 54 miles southwest. Raggio's Cessna took off from Big Bear on Saturday, landed at Daggett to pick up passengers and took off for Flagstaff, according to Dagett Aviation. An NTSB investigator was on the way to the crash site Monday; Knudson said he would likely have to be choppered in to access the wreckage. Attempts to reach the San Juan County coroner Monday have so far been unsuccessful. The San Juan County Sheriff's dispatch referred calls to the NTSB. A Cessna 310 was reported overdue by a family member, the Federal Aviation Administration said. 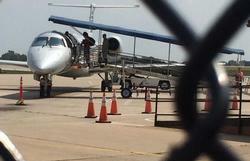 That plane was headed for Amarillo, Texas, via Tucumcari, N.M., and was last seen departing Flagstaff, Ariz. Neither agency could confirm whether the missing 310 is the same one whose wreckage was found. The nearest town to the crash site is Telluride, San Miguel County. Knudson did not expect to have additional information before late Monday night or Tuesday morning. An NTSB investigator was on the way to the crash site as of 11:30 a.m. Monday; Knudson said he would likely have to be choppered in to access the wreckage. He could not immediately provide the Cessna's N-number. The Durango Herald reports that the search is taking place in the Grizzly Peak area and that a Civil Air Patrol crew, since recalled, launched from the Grand Junction Regional Airport on Sunday, shortly after receiving word of the missing plane. The La Plata County Sheriff's Office is assisting the San Juan County Sheriff's Office in the crash response, as well. Plane wreckage found near Telluride may be that of an overdue Cessna 310, that was en route from Flagstaff, Ariz. to Amarillo, Texas, via Tucumcari, N.M.
Federal Aviation Administration officials have not confirmed whether the wreckage is that of the missing plane, which a relative of one of the passengers had reported as overdue. Search and rescue teams are on scene, the FAA said. Investigators from that agency and from the National Transportation Safety Board are also expected to arrive on scene Monday. There was no immediate word of the fate of those who may have been on board the aircraft. KUSA - Up to five people were killed in a plane crash that happened Sunday in a remote part of San Juan County. The plane, a Cessna 310H, lost radio contact south of Telluride near Grizzly Peak and crashed at around 4:15 p.m., the National Transportation Security Board says. Lt. Col. Mike Daniels with the Civil Air Patrol couldn't confirm that it was the same plane reported overdue that was traveling from Barstow, California to Amarillo, Texas. Investigators from the FAA and NTSB are headed to the area to conduct an investigation -- and 9NEWS aviation expert and former NTSB investigator Greg Feith says the remoteness of the location could make getting answers a challenge. "They don't have the ability to law the wreckage out, to utilize the tools they may need, so [investigators] will document as much of the wreckage they can, looking for certain characteristics, and once they've done everything they can on scene, the aircraft will probably be recovered and taken to a salvage yard where they can re-examine things that may have been more interesting on the scene," Feith said.